“At what temperature might a songbird vaporize?” asked a recent Los Angeles Times piece about the BrightSource Energy Ivanpah solar power tower project. “Will the glare from five square miles of mirrors create a distraction for highway drivers? Can plumes of superheated air create enough turbulence to flip a small airplane? What happens if one of the Air Force's heat-seeking missiles confuses a solar power plant with a military training target?" “The military, birders, aviation officials and others are eager for answers,” it added. There may be good questions to ask about Ivanpah’s costs and funding. These are not those questions. “Nothing of its type and size exists anywhere else in the world,” the article claimed. That’s half right. 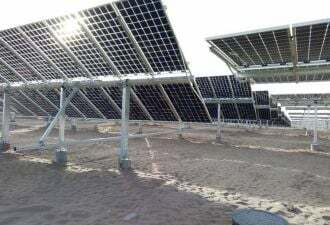 Three small solar power tower projects are currently in service in Spain (2007, 2009 and 2011). Another, Solar One-Two, operated off and on from 1982 to 1999 near Barstow, California. BrightSource has two California projects in operation (2008 and 2011). And eSolar has operated one since 2009. 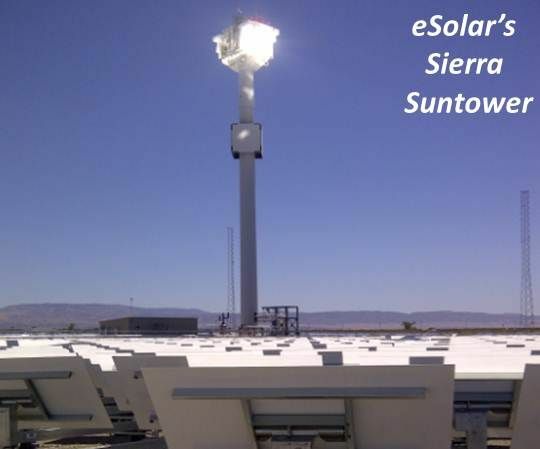 SolarReserve and Abengoa projects are in development. None of the consequences suggested by the Times has materialized. 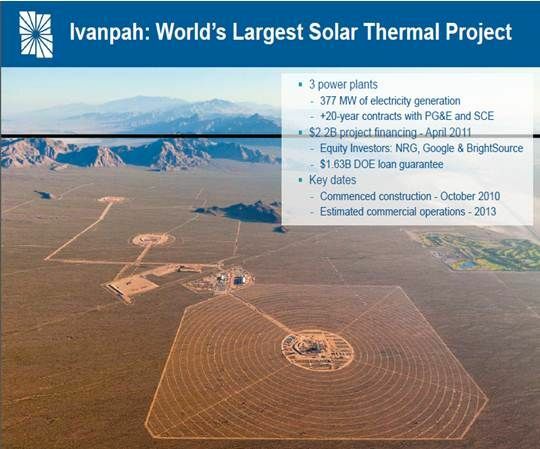 It is true that the Google- and NRG-backed three-tower, 370-megawatt solar power plant under construction in Ivanpah, CA, near Las Vegas, will be the biggest such project in the world when it goes on-line in 2013. 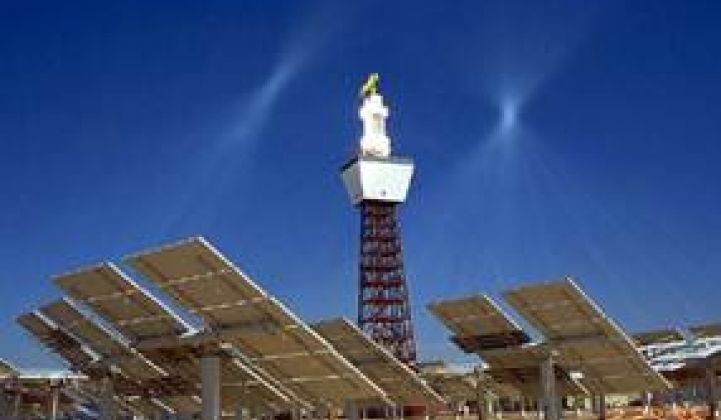 The BrightSource power tower technology was developed by the designers of the trough technology that originated CSP at the nine Solar Energy Generating Stations (SEGS) still in operation today not far from Ivanpah. A central tower is situated amid a field of heliostats (flat mirrors) that concentrates the sun’s heat on its elevated receiver. High-pressure steam is heated to 1,000 degrees Fahrenheit, matching the tolerance of the best power plant turbine. The technology is sophisticated enough that multinational engineering giant Bechtel was brought on at Ivanpah for the engineering, procurement and construction (EPC). But it is not so sophisticated that it can’t be accurately vetted. The LA Times piece suggested the California Energy Commission based its approval of Ivanpah largely on computer modeling. In fact, the project went through the same rigorous permitting any energy project faces from the CEC, the Bureau of Land Management, and experts from U.S. Fish and Wildlife, the FAA, the U.S. Department of Defense (DOD), the California Department of Fish and Game, CalTrans and the California Highway Patrol (CHP). The Times piece quoted a scientist saying Ivanpah is “an experiment on a grand scale." But, as noted above, smaller such “experiments” have proven safe. Regarding avian harms, the article cited 30-year-old studies from Solar One-Two, but offered nothing current. The Times article also quoted a Pentagon representative’s hypothesis that a heat-seeking missile might, during a training exercise, mistake the tower for a target. But the DOD signed off on the project after a long review process and Ivanpah is not located near a military training site. BrightSource is currently consulting with the DOD on proposed future sites. Sierra Suntower, which is much closer to well-traveled highways than Ivanpah, has never had a complaint of a glare-caused accident, Long said.